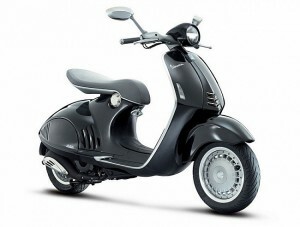 The Vespa Quarantasei prototype presented at the EICMA 2011, received its final form as 946 in its street version for next year. The bike is almost identical, except for details such as mirrors or the intermittent. In the last edition of Milan (EICMA 2011) there were many who stopped at the Vespa booth, belonging to Piaggio, for a beautiful look closely Vespa prototype, the Quarantasei, with futuristic lines and attractive design. Only a year later and on the same stage, this prototype is about to be introduced as the new Vespa model 2013 with the name of 946. Little has changed from the initial design, while some detail, as the intermittent or mirrors have had to be modified to make production feasible. Its bold lines mixed with mastery an innovative design already the time pay a tribute to the first model of the brand. The whole exercise of style by Pontedera brand designers, who have managed to effectively capture the Vespa philosophy in the 946. 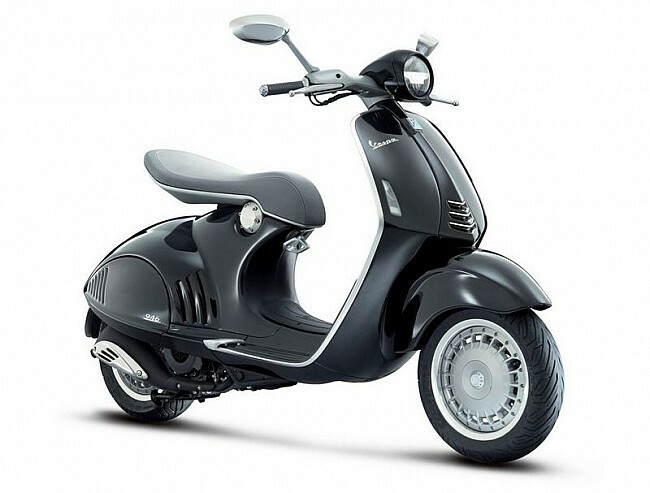 Behind its spectacular body find the latest Piaggio engine, a 125 cc three-valve air-cooled and with electronic injection, which must give a power of 12 hp. Notable for its low power consumption and low emissions of gases, since the 946 is presented as a model ecologically effective for anticipating environmental standards Euro 3.